For the first time since 1998, creative works have entered the public domain! Books, movies, music and art copyrighted in 1923 are now freely available for use. City Barbeque of Highland Heights presents Food for Thought, a history series to stimulate your senses. 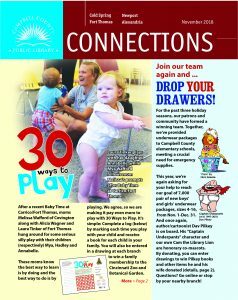 Read the November “Connections” newsletter here. What do “To Kill a Mockingbird,” “The Giver,” “Ender’s Game” and “The Handmaid’s Tale” have in common? 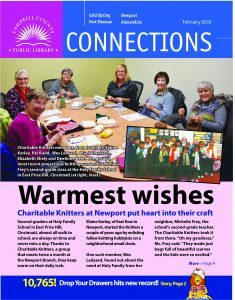 See the April “Connections” newsletter here. 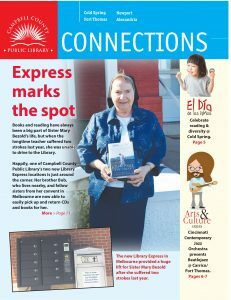 Read all about how our Melbourne Library Express has had a huge impact on one particular patron, upcoming programs, book recommendations and more.